Sometimes the little things matter. In Revit loading, several families into a project could be a tedious task. From the Insert tab, you would select load family and it would open the Imperial library and then you would proceed to drill down through the folders to the desired family. Then if you wanted to add another family you would select the Load Family and Revit would again start you at the beginning, the library, and you would have to drill down all over again. Now with the release of Revit 18.2 on October 11th, Revit will remember the last place you were loading a family and take you right to the folder. A little thing for sure but one that can save a lot of time when added up. They have also improved the section box grips making them easier to select. And they’ve added new right-click menu options that allow you to expand or collapse everything or just the selected in the project browser. 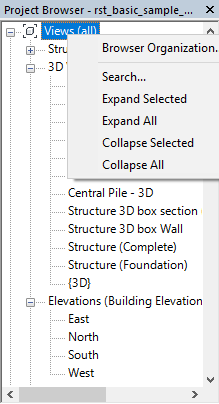 These small enhancements come from the Revit Ideas forum. You can have your voice heard here by suggesting improvements or features or by voting on ideas already posted. It is also a great place to see what ideas others in the Revit world have!